Group members Von Pea and Donwill of Tanya Morgan hook up with Chaundon and Focus for this homage track to a hip-hop great. This joint right here is a tribute to Ali Shaheed, producer from A Tribe Called Quest. 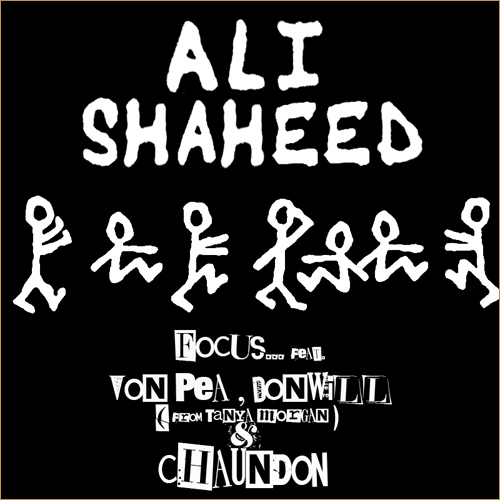 Tanya Morgan has worked with Ali Shaheed in the past and Donwill was looking forward to jumping on a homage track with Focus. “Focus… does these homages, like, monthly and Von had put me on to ’em. After the RZA one dropped, I went to Twitter and said, ‘Somebody tell Focus… I want in.’ Within 2 re-Tweets he was following me and we had moved to Gmail.“, as Donwill explains. For those you that have not heard his latest release, you can listen to it here: Â “Gotta Have It EP“Â You can buy the album on iTunes or Amazon.